HOW DO YOU FEEL? GREAT! 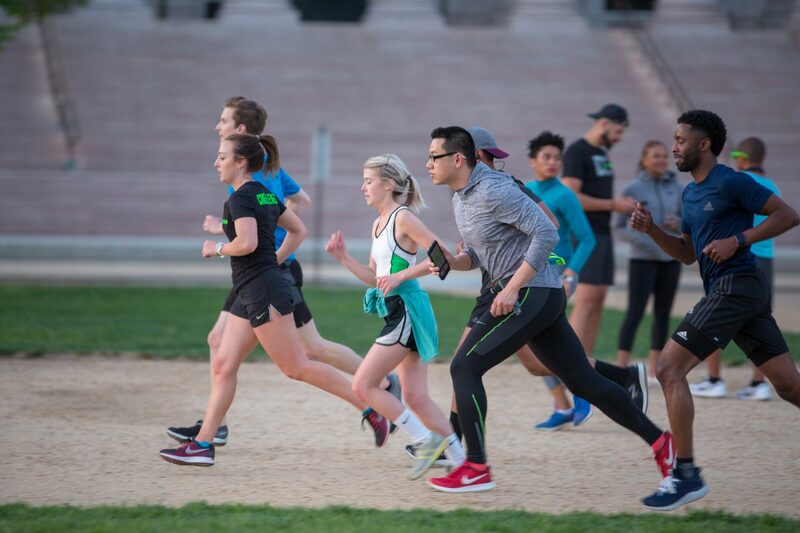 Welcome to DC Run Crew–a organization created to build social networks and mental toughness through the sport of running. Our mission is to cultivate and empower a CREW of individuals who want to focus on their well-being and connect with their community. We provide a variety of exciting running and fitness related events to inspire positive transformations in each person’s life, physically, mentally, socially, and professionally. We are not here to make you love running. We are here to push you to understand the benefits of running and how it integrates into a full fitness program complete with cross training. Running can be boring and sometimes you just want more. Welcome to MORE! So join us every Monday at 7PM for our FREE weekly HIIT and RUN workouts! ALL FITNESS LEVELS ARE ENCOURAGED! Check out our crews below and see where you will begin your fitness journey with us. Our largest crew customized for our beginning runners–yes this can be day 1–and our heavy lifters who are looking to build their cardio. This crew is full of fun and is sure to push you while having a GREAT time. For our everyday fitness crew member. You are here to push yourself, but you need that extra encouragement and recovery between sets. We often split into two groups so you can choose your intensity level. You will definitely leave this workout pushed to your limit and hungry for more! Designed for the everyday fitness enthusiast who is ready to work! Rest? who needs rest? Time to push the limits. There are currently not any Welcome to the CREW available. The DC Run Crew leader team is made up of diverse trainers and fitness enthusiast whose passion is to see you succeed!